Pets meds can be abused by their owners, and Arkansas wants to know how they can stop it. The most vulnerable of living things is being abused by their addicted owners all in the name of feeding their dependence, and Arkansas is now trying to find a way to keep pets safe. Arkansas’ Drug Directory Kirk Lane says even though his state had the second highest prescribing rates in 2016, the numbers for 2017 are expected to be out soon and the numbers should drop. With the steep incline of opioid overdoses, and heath care professionals being arrested for over-prescribing, addicts are looking for any way they can get their hands on prescription medications. But some are unaware of the prescription-drug monitoring program, and as of August 2017, Arkansas is one of 30 states in the nation that participates in the program enacted to keep doctors and pharmacist connected when it comes to patience and pain medication. “They can see trends on there. People that maybe abusing their pet, people that maybe doctor shopping, people that may be overprescribing,” Lane says. Veterinarians are mandated to check the Prescription Drug Monitoring Program before prescribing certain medications, and although it is not common to give out heavy medications, some are prescribed to both patients and pups. Most commonly prescribed for pain is Tramadol, a pain reliever that can be taken by both humans and pets. Other types of medications, such as benzodiazepines, are given to pets for anxiety, from fireworks to vacuum cleaners. 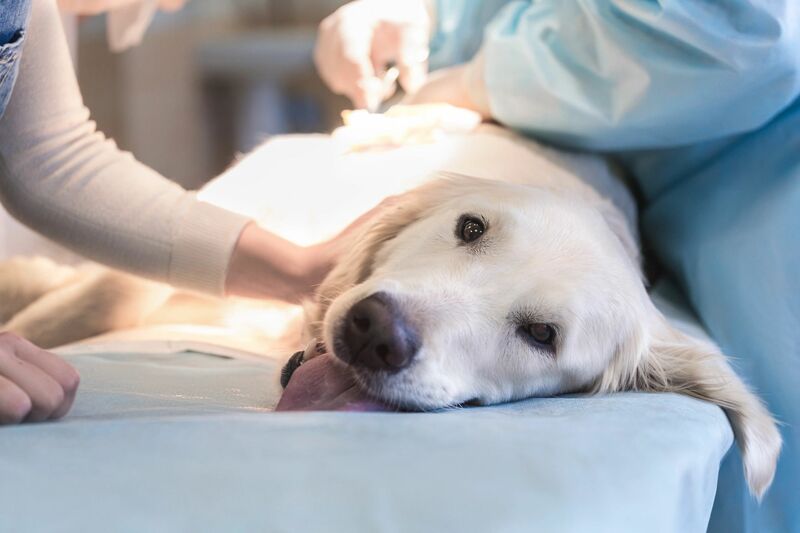 The Arkansas Veterinary Emergency & Specialist are no longer allowing medications to leave their animal hospital and have switched to using patches to lower the chances of owner abuse. Veterinarians are often faced with the same requests from pet owners seeking medications, mostly new patients, requesting the drug by name, for common ailments that most commonly do not require a pain medication. Dr. Eli Landry, the owner of the Seminole Veterinary Hospital, in Seminole, Oklahoma says “Almost always, they refer to the hips, which in some breeds is the first thing to deteriorate,” which is an actual problem for some pets, but can make it more difficult to find out who’s telling the truth or not. In the most obvious situations, Landry said he refuses to write the prescription. “A lot of dogs with arthritis would best served by going on a diet and losing weight anyway, not with drugs,” he noted. But he also takes matters into his own hands at times and emails a group of other vets in the area to warn them to be on the lookout for a particular owner and the patient.